In this article, we’ll be reviewing the best Conair brand hair dryers that you can buy in 2018. There are tons of different types of technologies being used in today’s hair dryers, which make it more difficult to determine which is the best choice. This is why I decided to help narrow down that choice for your by listing all of my picks for this brand. Which Hair Dryer To Buy & Where To Buy One? The Infiniti Pro Advanced Brushless Motor Hair Dryer is a powerful drying tool that is also very quiet. It provides a quick dry with less heat, which means it should leave you with less damaged hair overall. It comes with with a 7-foot cord so that you can have a little room to move around while getting ready. This dryer focus on using two sorts of technologies in it, ionic & ceramic, which help with less frizz & less heat damage to your hair. 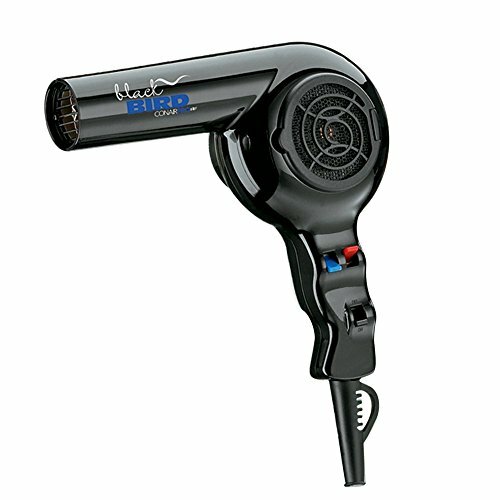 Overall this is a great hair dryer! 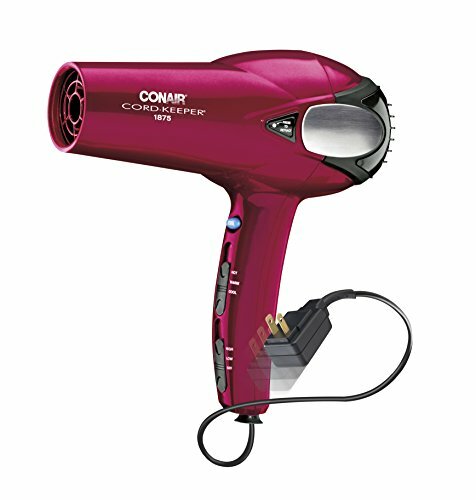 The Conair 1875 Watt Cord-Keeper 2-in-1 Hair Dryer is a simple, yet powerful hair dryer that many have decided to make their go to blow dryer. It has a powerful motor that allows for fast drying. It has ionic, tourmaline & ceramic technology used in it which provides multiple benefits for not only the look of your hair but also the overall health of it. You’ll find it has a 3 heat/2 speed setting and a cool shot button. Alright, I saved the best for last, it has a retractable cord with just a push of a button. Anyone who has a low space bathroom area will appreciate this. The only downside of it is, the cord is only 3 feet. This is an awesome dryer that I give a thumbs up on. 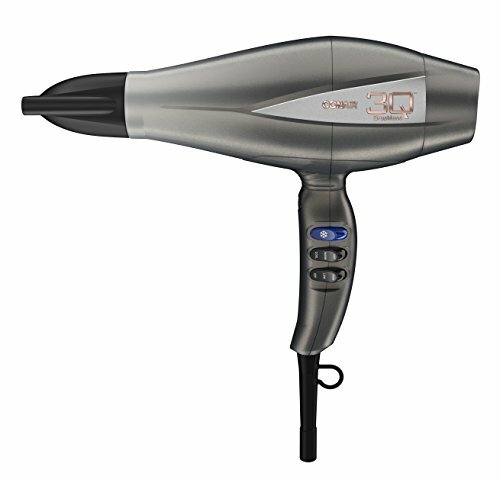 The Conair BB075W Pro Blackbird doesn’t have an impressive look to it that you see with a lot of modern hair dryers. However with that said, who cares how a hair dryer looks? 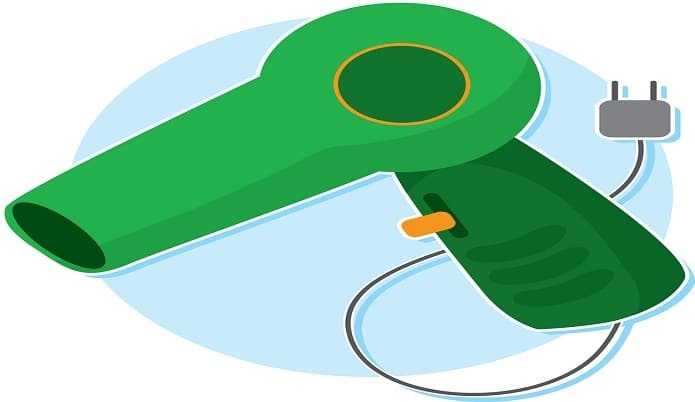 This baby is powerful, reliable and has nifty little perks of its own, like the easy cleaning option of the filter. It has 4 heat speed settings, a powerful 2000 watt AC motor & a fairly lengthy cord at 8 feet. Like I mentioned, it also has an easy cleaning option for the filter which can make a world of a difference for those who tend to shed a lot of hair. If you can stay consistent on keeping the filter from being clogged down with hair then you can eliminate a major issue that tends to kill most hair dryers, which is the motor burning up. This makes this hair dryer stick out from the rest in my opinion. There are way too many factors to determine for me to pick out which one will work best for you, as a lot of this depends on the type of hair you have. I did shorten the list down to my top 3 Conair hair dryers so, it should make picking it a little easier for you if you decide to use this list. In terms of where to buy a hair dryer, I would suggest looking to Amazon first, especially if you’re already an Amazon Prime member. Hope this article helped you find a good one!